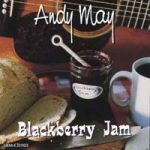 In the past 4 decades, Andy May has experienced a lot of life. He’s played music at Carnegie Hall, won guitar contests and appeared with artists that range from Merle Haggard to Dr. Ralph Stanley over the years. One of Andy’s stronger talents is his ability to write great music. 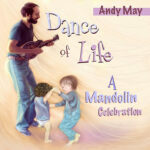 The newest recording in the Andy May collection is titled “Retroflections”. In early years when paying his dues, an impressive number of well-written songs were born. “Retroflections” is the second awakening of those songs. The first track, “Follow Your Heart.“ is the appropriate opening song. The lyrics give the listener a glimpse into the heart of a young man chasing his dreams and looking to make his profession on the road as an artist. I was surprised by the different style of music included in this collection. Most of my previous exposure to Andy’s music has been with a country / bluegrass flavor but “Retroflections” has a folk almost pop sound that I found very enjoyable. All of the songs tell a story that is easily pictured in one’s imagination. The 10 track CD will take listeners on a journey back in time with Andy. Songs like “Ride with Me” and “Friends” give a look into the past when Andy was creating his own path through the music world. Love, Turn a Heart Around, written to perform for at a hunger relief concert is an early suggestion that the writer will be known for his caring personality and his willingness to share his music for the betterment of others. In an attempt to select my favorite track I found myself starting from the opening with and progressing through the first 3 songs, enjoying each about equally but finally settled back to “Follow Your Heart.” Maybe it is the tempo, or it could be Jeff Potter on the harmonica. 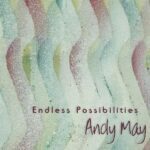 Pick up a copy of Andy May’s “Retroflections” and enjoy the journey! —Walnut Valley Festival, Winfield, KS.